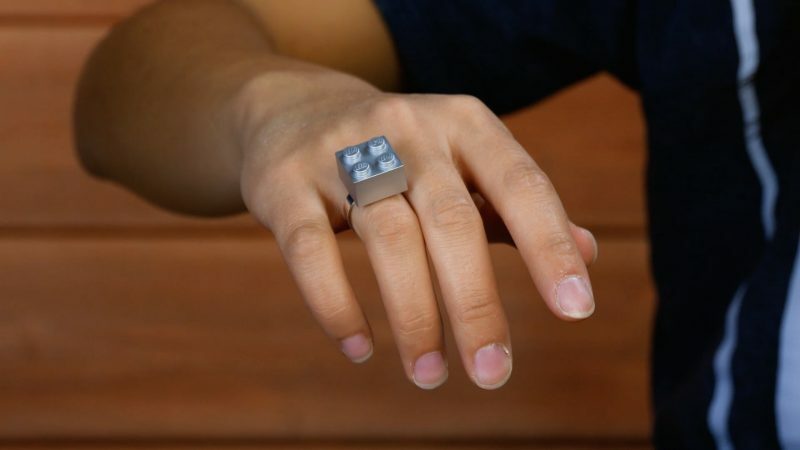 Drill a hole through a Lego brick so you can use it as a key fob. Use a power strip to attach a small Lego panel to the wall next to the door. You can attach your keys to this panel so you'll never lose them. 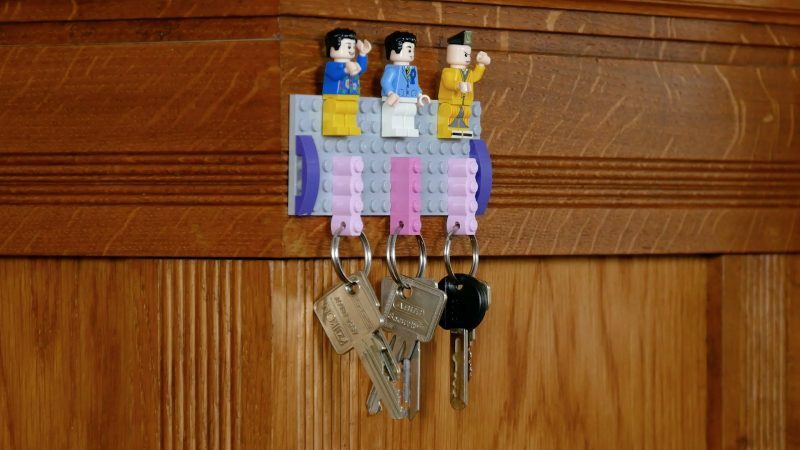 You can use Lego characters and other bricks to decorate the key hook. Use a doubled-sided glue strip to stick two flat Lego bricks to the edge of the table and place two Lego characters on each one. 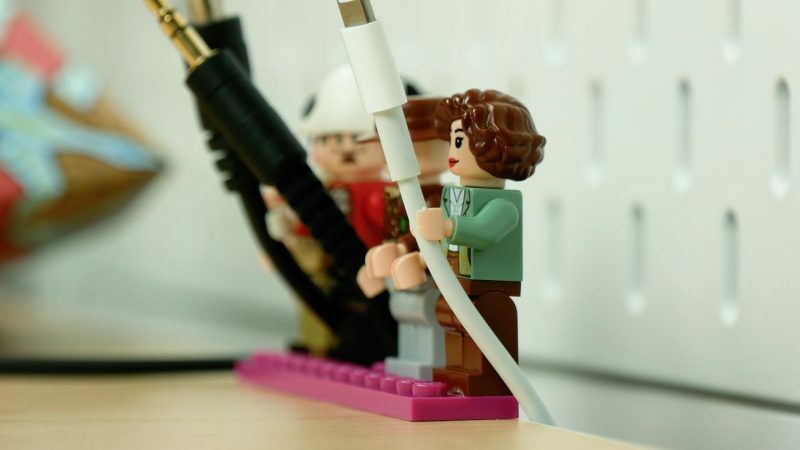 You can then keep cables in place using the Lego characters' hands. Cut a photo so that it fits on five Duplo bricks stacked on top of each other. Glue the photo to the structure and cut it so that the Duplo bricks can be detached from one another. If you do the same to one of two other photos, you can have fun exchanging the people's heads, feet, and bodies. 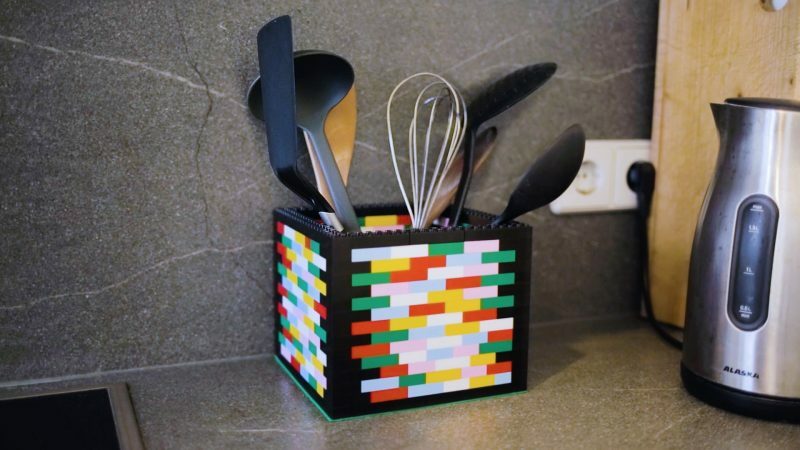 You can even use lego bricks to create suitable storage for larger utensils in the kitchen. 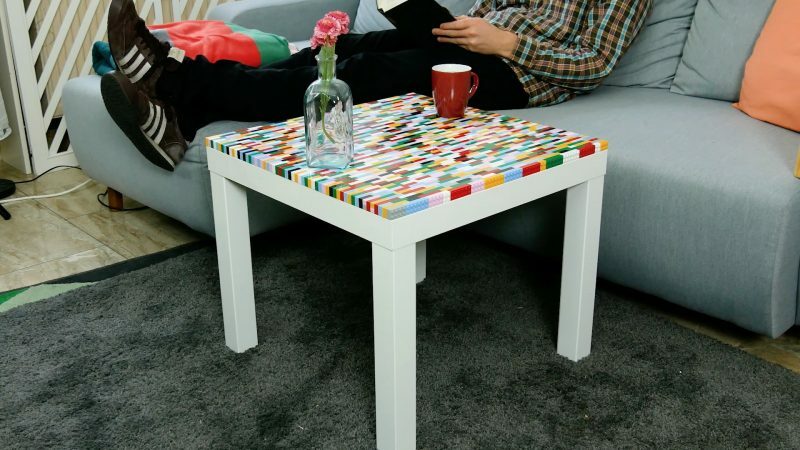 You can brighten up dull IKEA tables by creating a funky tabletop. 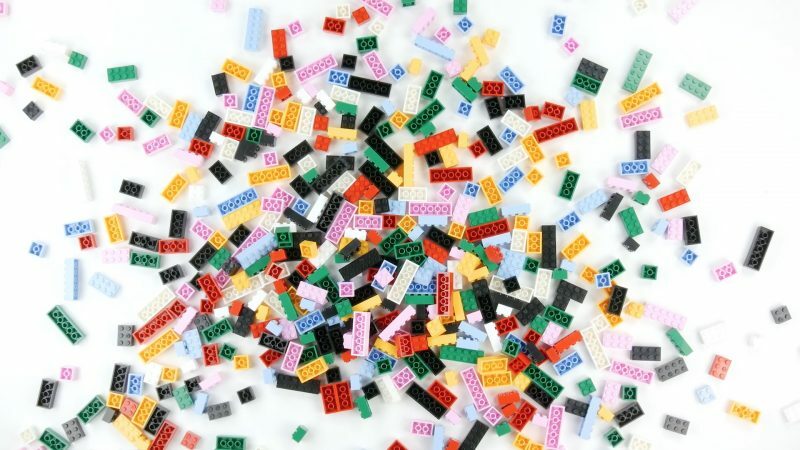 As shown in the video, simply glue the Lego bricks onto the table row by row using hot glue. Spray a 2x2 brick with silver paint and attach it to a blank rink using hot glue. 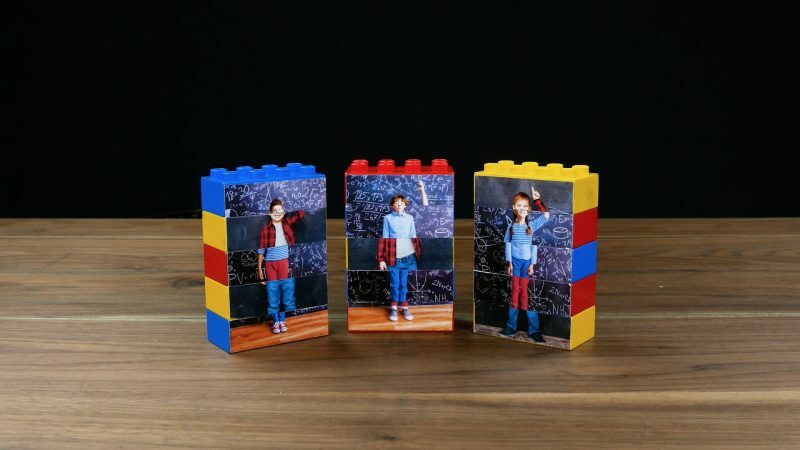 When it comes to Lego DIY ideas, it's best to let your creativity run wild. Let us know which idea you liked the best!